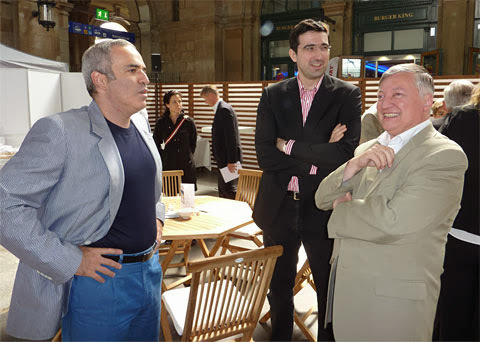 World Champions Three: Garry Kasparov, Vladimir Kramnik and Anatoly Karpov - all of Russia, but of course: Photo: Chessbase.com. World Chess Championship 2013 GM interview: Kasparov backs Magnus Carlsen; Karpov neutral and Vladimir Kramnik think Viswanathan Anand can win provided he does certain things. Here's the verdict of the Big Ks by Rakesh Rao for The Hindu. 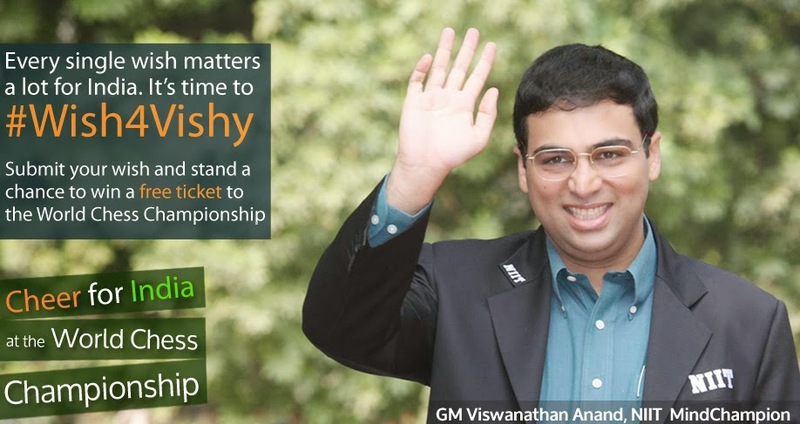 With less than a week to go for the World chess championship match, fans in over 150 countries have reasons to pick their favourite — champion Viswanathan Anand or World No.1 Magnus Carlsen. Going by form and rating, the majority surely favours the Norwegian. For now, leave out the lesser mortals. 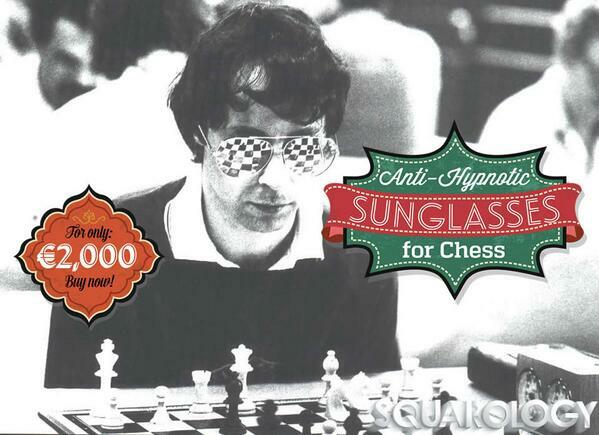 Here is what some of the Russian greats — Garry Kasparov, Anatoly Karpov and Vladimir Kramnik — who know more about playing for the World title than most, have to say about the clash. Kasparov wants Carlsen to win. Karpov has no clear preference. Kramnik thinks Anand can win provided he does a few things right. 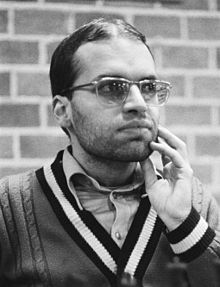 Kasparov, who helped Anand during the 2010 World championship match against Veselin Topalov, attracted the champion’s ire for being openly critical of him during the 2012 title-clash against Gelfand in Moscow. Since then, Kasparov has offered to help Carlsen to prepare against Anand. Last month, Carlsen declared that he would be happy to get help from the man under whom he had trained in 2009. The 22-year-old is 95 points ahead of Anand on the world rating list, but Kasparov has a word of caution. “There is no such thing as an easy win against the World champion. I think Vishy will be quite happy that he is the underdog. He’s got huge experience. As we saw (in the Candidates tournament in London in March-April) there are problems (for Carlsen), there are still clear problems. The match is for Magnus to lose, clearly, but it’s a 12-game match, and whatever you’ve got from the first nine games, may not count. 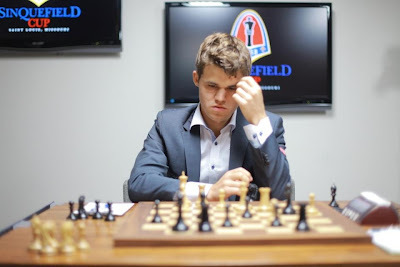 “He (Carlsen) has to work on a lot — (on) psychological preparation. His opening preparation should be more precise. Anand is an expert. Those who say that Magnus will win easily are doing him a great disservice. Karpov, another former world champion, has a different take. “Taking into account historic parallels, I would perhaps support Anand because I have defeated him in the matches twice. “Although I’ve not been competing (laughs) for the crown for 10 years, it is still pleasant when the guy who sits on the throne has been defeated by you twice. From a self-importance point of view — although it’s not the time to talk about my significance — it’s somehow pleasant. 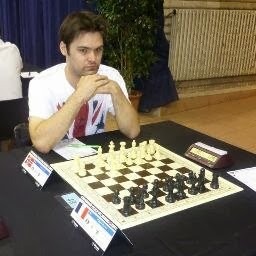 “I think the appearance of Magnus is a good sign for the progress of chess. Kramnik, who was the only man to beat Kasparov in a World championship match (in 2000) before suffering his only defeat in match-play to Anand in 2008, asserts the champion is not badly placed. “I believe Anand definitely has his chances. It is absolutely realistic. The only problem, I think, Anand faces is that he — this is just my opinion — is somewhat intimidated by Carlsen. He is scared of him, I would say. 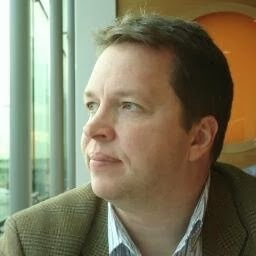 “Anand should relax and not be afraid of Magnus. 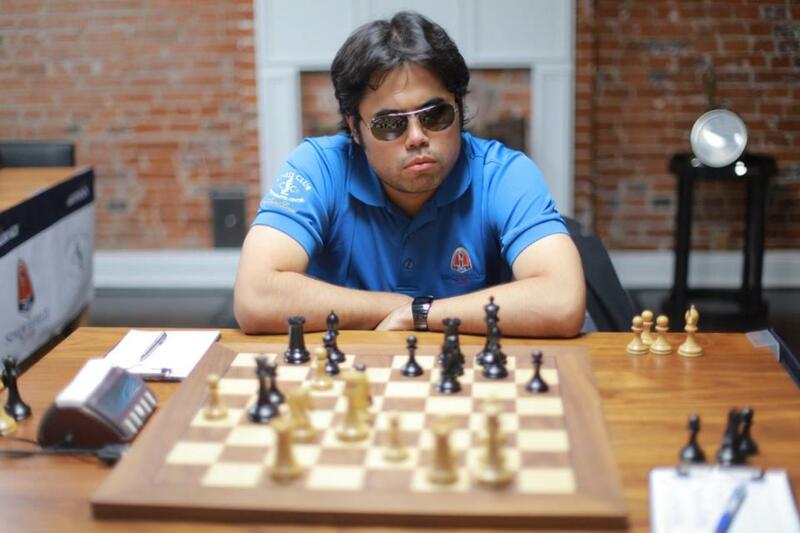 If Anand manages to prepare himself this way, then the chances will be equal. For all Grandmaster verdics on the Viswanathan Anand versus Magnus Carlsen World Chess Championship 2013 check this collection of posts on our site. The movie 'Prince of Chess' is a 48-minute work chronicling the world's youngest Chess Grandmaster Magnus Carlsen's early chess life. 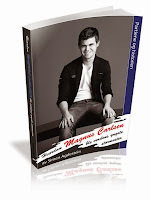 The Carlsen family sublet their house for a year in order to travel around with Magnus and help him fulfill his potential as a world class chess player. 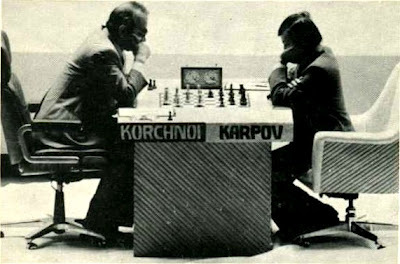 The film also looks at the game of chess as a player in both cultural history and international politics. 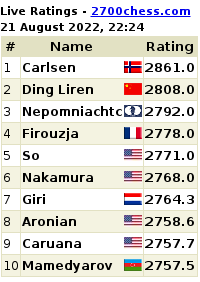 Magnus has already fulfilled his dream of becoming the highest-rated chess player on the planet. He now heads to Chennai, India to claim the title of World Chess Champion from Viswanathan Anand of India. Can he do it? 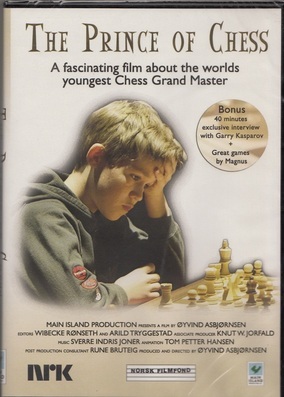 Prince of Chess is directed and produced by Oyvind Asbjornsen. You can watch the film behind a paywall of $6.75 at www.princeofchess.com. For now, here is a trailer and two short videos from the film: One is Carlsen beating former World Chess Champion Anatoly Karpov and the other is Carlsen drawing with former World Chess Champion Garry Kasparov. prince teaser from Main Island Production on Vimeo. Former World Chess Champion Anatoly Karpov of Russia has said beating Viswanathan Anand is not an easy task but, Magnus Carlsen has his chances - in fact, the chance of his life! Karpov was speaking to journalists ahead of the opening of the World Chess Cup 2013 in Tromsø , Norway on Friday. "The whole world is waiting for this match with a great interest... Magnus has achieved many big successes... he is young, he has good age. I think he is in the best age to become World Champion. Anand is very experienced and he is the world champion for many years already. He was also a young star and became known already when he was 16. At least I met him for the first time at this age. So, he is well-prepared. This is not an easy task to beat Anand, but Magnus has chances." 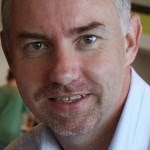 "Magnus will have some problems with climate and food: less with climate, more with food. He has to be very careful, but these are besides chess. As to chess, he must show his best form, he must be well-prepared. 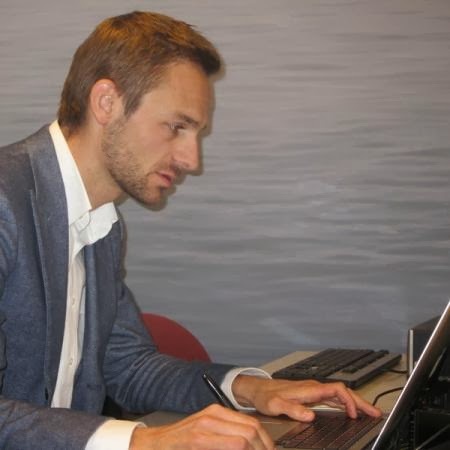 I think he has knowledge and the time he was working with Kasparov, I don't know if they still work together, gave him a good understanding of what is the fight for the world title: this is absolutely different from any other even the strongest tournament: it has special character, special atmosphere."